Yesterday afternoon, I rode my bike to the top of Humbolt Mountain, elevation 5200 feet, a 3500 ft climb according to Strava. 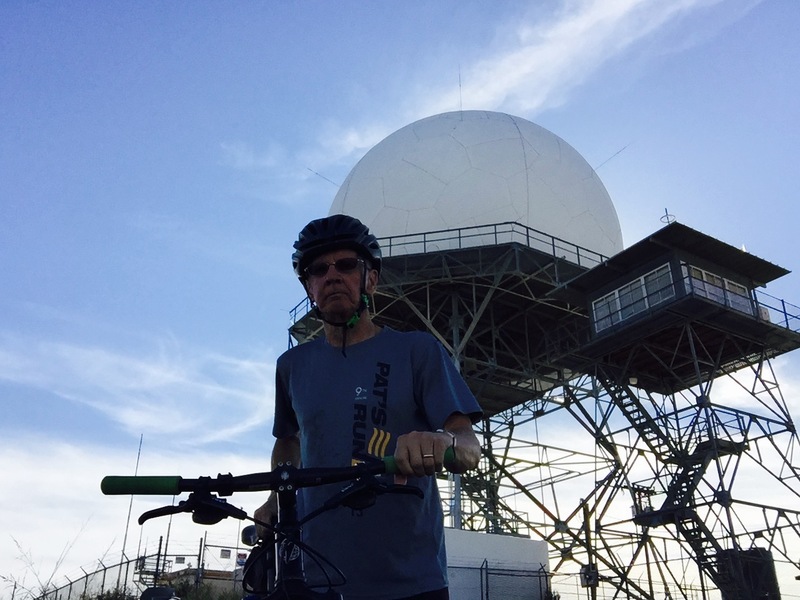 Sitting atop the summit is a radar tower, most likely a key component of the southwestern air traffic control grid. It was a hot afternoon and I was angry. What better way to cool off than riding up a mountain? A few hours earlier, I had received a call from the Crims VP of Development, informing me that my position was being eliminated for strategic reasons. In other words, I was being laid off. My first reaction was relief, because for the past few weeks I had been ruminating over how to quit working for that company on good terms. A few hours later, and even now, I’m feeling hurt and angry. In fifty odd years in the workforce, never before had I been laid off. That only happened to other people; I was too valuable. I was proud. So ok, I guess I’m proud, though striving earnestly to savor my humble pie.